Growing up in the Pacific Northwest, I never heard much about the Canadian Rockies. 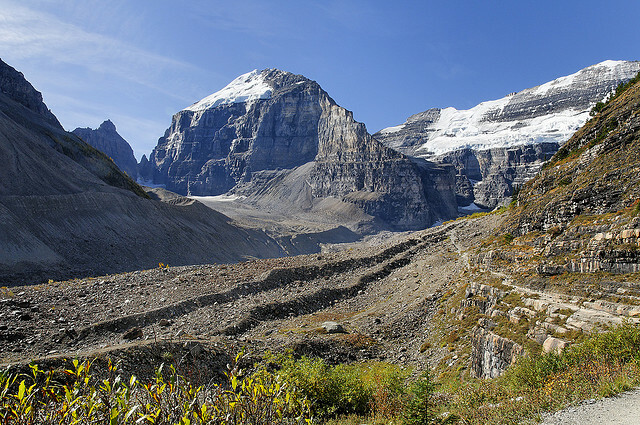 It wasn't until I attended college in Vancouver, British Columbia that I began to hear what unique and breathtaking a place the Canadian Rockies are. I was lucky to make some adventurous friends who told me many stores of camping and hiking in the rugged backcountry. 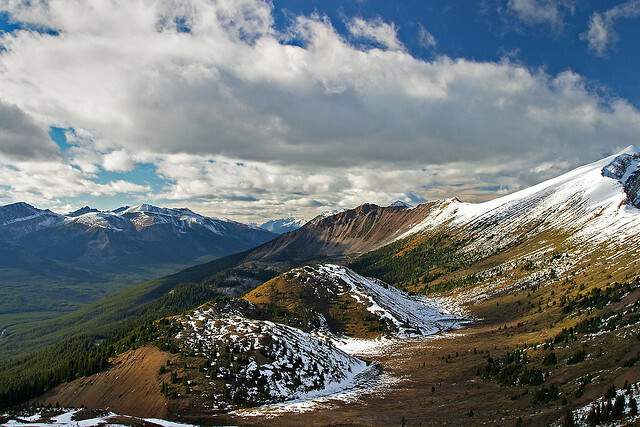 While researching for this post, I discovered I've actually, very briefly, been to Banff National Park. On one of many family road trips, we camped in both Yellowstone and Glacier, then briefly stopped to see Lake Louise before heading to BC for a visit with one of my aunts. Of course, I was in high school at the time, and more focused on sitting in the car to draw and write letters to my friends (I miss writing letters and postcards! ), instead of enjoying the incredible place we were in. Even so, I immediately recognized the lake when I saw it again and was flooded with memories of that trip. With over 1000 miles of defined trails, a tea house only accessible by a half-day hike, and valleys famous for their fall larch displays, Banff is a National Park with my name written all over it. 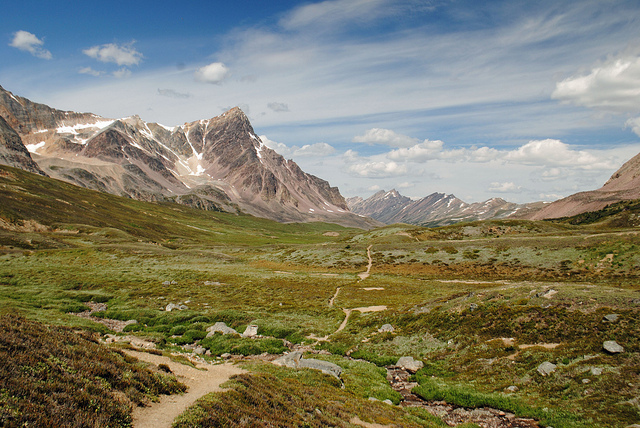 Further north is the much larger Jasper National Park, with dramatic glacier carved landscapes, trails winding through isolated wilderness, and many large, calm lakes for kayaking or canoeing. A trip to visit these beauties is definitely in my future!